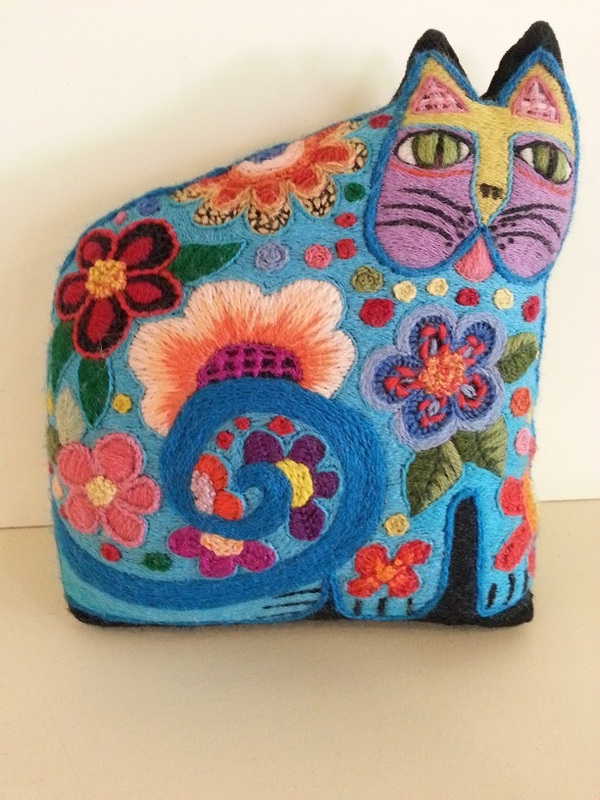 The Embroiderers Guild, Victoria – Geelong Branch. 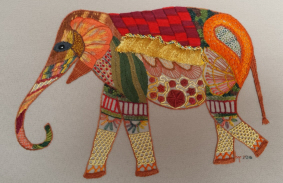 Enthusiastic stitchers in every type of embroidery style and from beginners to expert. Have you ever thought of doing an Intermediate subject? 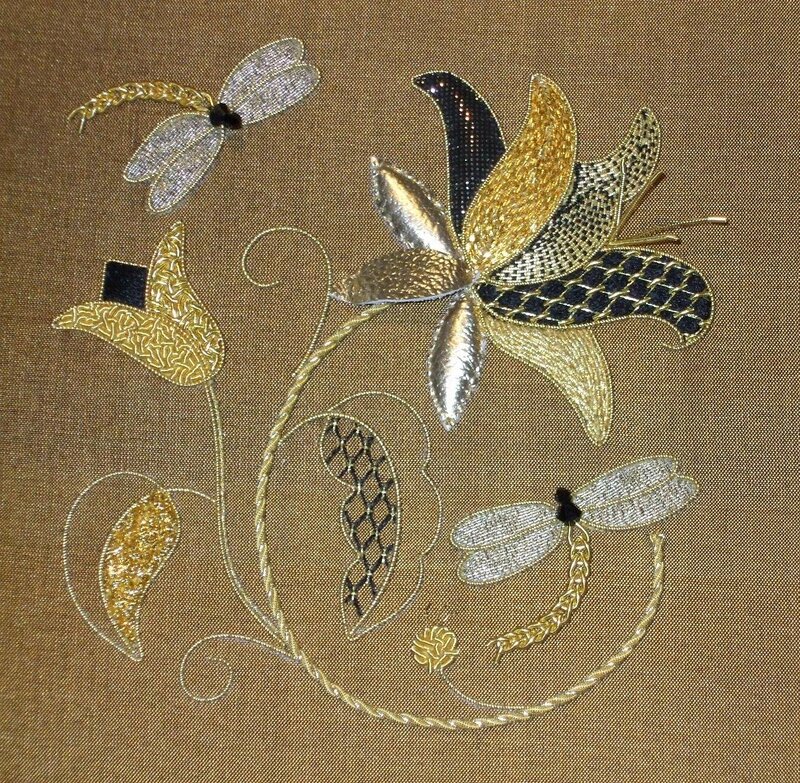 This year we are offering Surface Stichery and Goldwork as our options. What is an Intermediate Certificate Subject? An Intermediate subject is a series of classes designed to move you beyond the beginner stage. It develops your skills in a particular technique as well as your confidence in general. 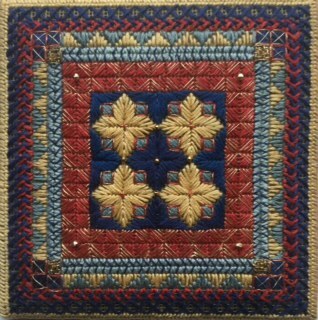 Different techniques are offered from year to year.Each course leads you beyond the basics of a technique, building up a collection of stitch samples and knowledge pertaining to that particular technique. 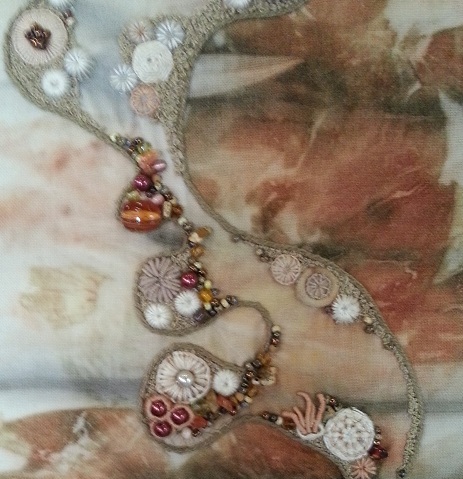 Most courses require the student to produce two small pieces and one major piece. A ‘major piece’ does not mean that the student has to produce a huge piece of work, but rather a piece of work that demonstrates that the student has a good grasp of the skills learned for the technique. Student work is assessed by the tutor, and a date for assessment is usually set for approximately six weeks after the last class of the course. Each subject runs for six sessions, from 10.00am to 2.30 (including a 30 minute lunch break).There will be homework after each session, and at the end you’ll hand in a folder of notes and your finished works for assessment. To enrol in most subjects, students must demonstrate a knowledge of basic stitches, as well as some experience in the basics of the chosen technique. Surface Stitchery is however a basic course. If you successfully complete three Intermediate subjects within five years, and take part in the Intermediate Final Display, you will receive your Intermediate Certificate. Or you can simply take individual subjects from time to time. Many members find these courses so valuable that they complete more than three courses, learning a wide variety of techniques. We celebrated our 49th birthday as a branch of the Guild with Victorian President Linda Hagar presenting 25 year membership awards to Dorothy Day and to Jacqui Volpe (in absentia). She also presented the Intermediate Certificate to Leonie Lister and Carmel Schulze. Their work for the three subjects completed was on display and was marvelled at by all. Anne presented Erika Praskunas with a 25 year membership pin and we saw some of her beautiful stitching. Intermediate Certificates were also presented by Anne to Bronwyn Bell, Kerrie Maloney and Valda King. Their work on display showed that they were worthy recipients. Techniques covered included Crewel work, Surface stitchery and Art of Stitch..